Piano lessons in Bakewell, Derbyshire. Learn on a grand piano. All styles of music. Classical, blues, jazz, indie, pop, folk. Beginners welcome. Who Can Learn to Play the Piano? People of all ages and all backgrounds can learn to play the piano, from young children right through to the retired who want to enjoy a new hobby. Children can generally start at the age of six onwards. Jonathan teaches students what they want to learn, through individually tailored lesson plans whether it be learning to play popular or classical music for pleasure, or working through the grades (ABRSM). Lessons are held Monday – Friday afternoons, all year round. Students benefit from a lesson once a week at a fixed time to aid and motivate their daily practice. Lessons cost £14 for half an hour, or £13 when paying for a series of six (6). Jonathan teaches all styles of piano playing, classical, jazz, blues, folk and pop, depending on the pupil's preference. He also teaches guitar, singing and ukelele. The piano is located in the Medway Centre in Bakewell. 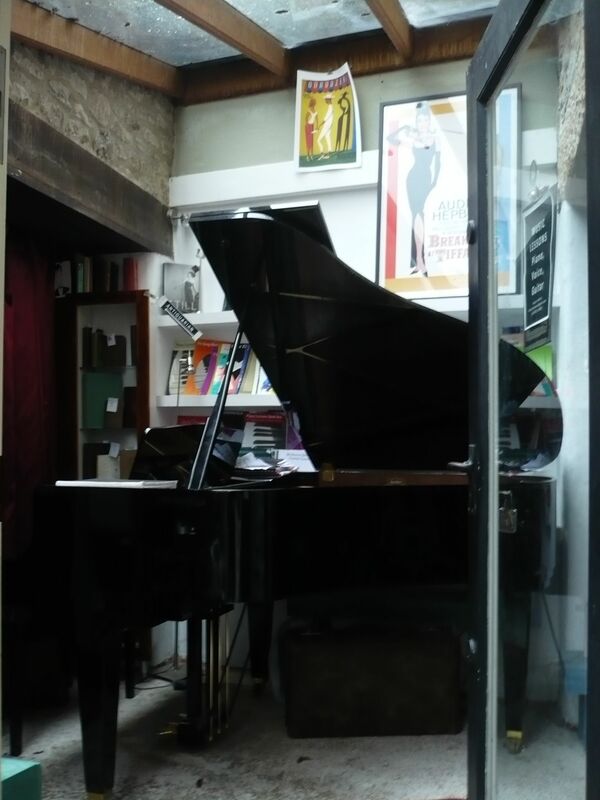 The piano can also be hired for rehearsal and practice. Our Kawai grand is kept regularly tuned by Karl Dumelow (Wirksworth, ph. 01629 823 297). Tea & coffee-making facilities are available, a rest room, and plenty of printed music.